When it comes to health, nutrition experts advocate the importance of fresh produce and other goods, generally straying away from frozen, prepackaged products. But when it comes to frozen vs. fresh foods, some frozen products may actually be fresher than its fresh-in-nature counterpart! First off, researchers do suggest freshly picked produce offers the richest form of nutrients, though doing so is not exactly feasible unless you cultivate a garden of your own. 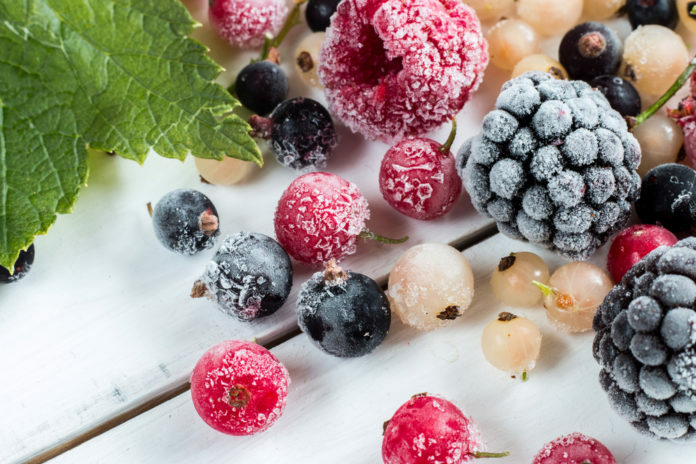 The majority of frozen foods are frozen during their peak ripeness, acting as nature’s very own “pause button.” Produce is generally flash frozen within hours of harvest to lock in key nutrients and preserve taste, with frozen foods even showing a greater nutritional value compared to products purchased at the store. In fact, numerous studies have found produce such as berries and broccoli offer the most potent nutrients. It is important, though, to stay cautious of the sodium, sugar, and other preservatives added to some frozen products. Transportation time is also a noteworthy highlight of just how frozen foods hold a higher nutritional value than others. Some fresh products may travel countless miles and through varying climate changes, which can cause oxidation and stress to foods. Animal meats, fish, and other dairy products require close attention to lessen spoilage risk, and transportation time and environment can increase such probability, whereas flash frozen meats are suggested to withhold their cell integrity and freshness even upon thawing. While that large carton of strawberries on sale seemed to be a good deal at the time, before you know it they are weeks old and spoiled. Along with locking in nutrients, flash freezing prolongs the freshness of foods that most fresh products tend to lose within a short amount of time. Ultimately, flash frozen products have a reduced expiration date and prolongs their stay in the freezer and use in the kitchen. But aside from the fresh factor, frozen foods also…. Food waste is a public concern, though Americans may not realize a whopping $162 billion worth of food is wasted each year! But frozen food has been implied to be a solution to the food waste issue, as statistics suggest 47 percent of food is not wasted with its use. Reducing food waste can save millions or billions of dollars, along with thousands for consumers annually when frozen foods are housed longer in their freezer. Additionally, some frozen foods are suggested to cost lower per serving compared to their fresh comparison. Convenience is one of the largest factors of achieving or dismissing health, particularly related to what is available at the time. For instance, though we tend to know consistently running through the drive thru may not be the best decision, doing so is convenient and quick following a long day. However, some frozen meals and products can be ample in nutrients while minimizing the impedance of prep work on your end. The convenience factor is also expanded beyond the consumer, as frozen foods offers accessibility to frozen foods and grants chefs the opportunity to incorporate them into meals all year-round. It is important to note fresh foods should absolutely not be discounted, as frozen foods should not be, either. Both hold a high nutritional value in the diet, especially when replacing high-sugar and fat foods with such nutritious sources. And if desiring added convenience of a meal delivery service, look no further than Balance by bistroMD. Not only is it cost-effective by not forcing memberships and recurring fees, but delivers well-balanced entrees and snacks to your doorstep. For more information on Balance’s nutritious, flash frozen foods (able to withhold their nutritional value without compromising flavor!) check out the official Balance webpage.